This event begins with all six teammates on the starting mat. 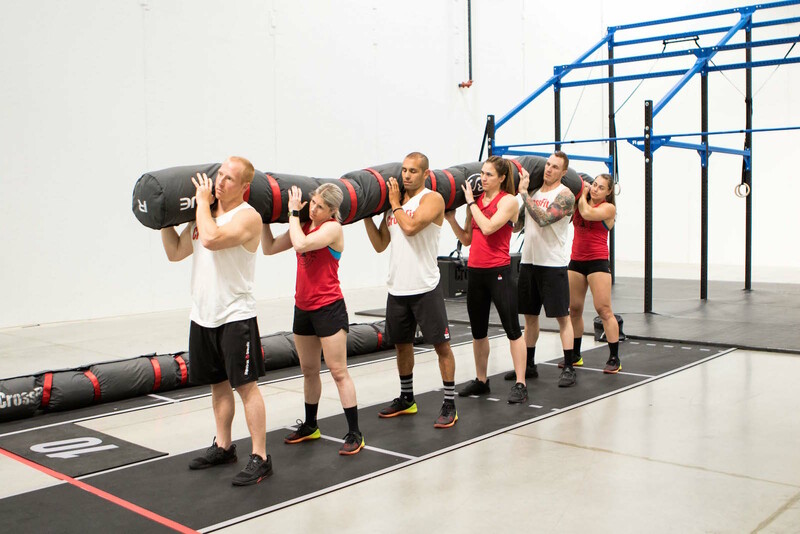 At the sound of the beep, all six athletes will advance to the Worm to complete 30 Worm push presses. The team will then move to the rope and complete 6 rope climbs, 1 by each athlete. With the last rope climb complete, the team will return to the Worm, advance it to the next marked section and begin the next round. The team will continue in this fashion until 6 rounds have been completed. Once the last rope climb in the 6th round is complete, the team will return to the Worm, advance it to the designated area and move to the finish mat. The team's score is its total time to complete the event. The minimum work requirement for this event is 1 round. Full video of Team Event 4 can be seen here. Scoring at the Regionals will be the same as at the Games. Every event will be worth up to 100 points, and teams earn points based on their finish (see chart). At the end of the weekend, the team with the most points is the winner. Teams that tie receive the same number of points. If a team fails to complete an event within the time cap (for timed events), its score will be capped and it will receive a 1-second penalty for each rep not completed. Some events will have a minimum work requirement. For those events, if a team fails to meet the minimum work requirement, it will not be eligible to move on to the next event. Teams must continue to work to complete all the repetitions until the time cap expires. 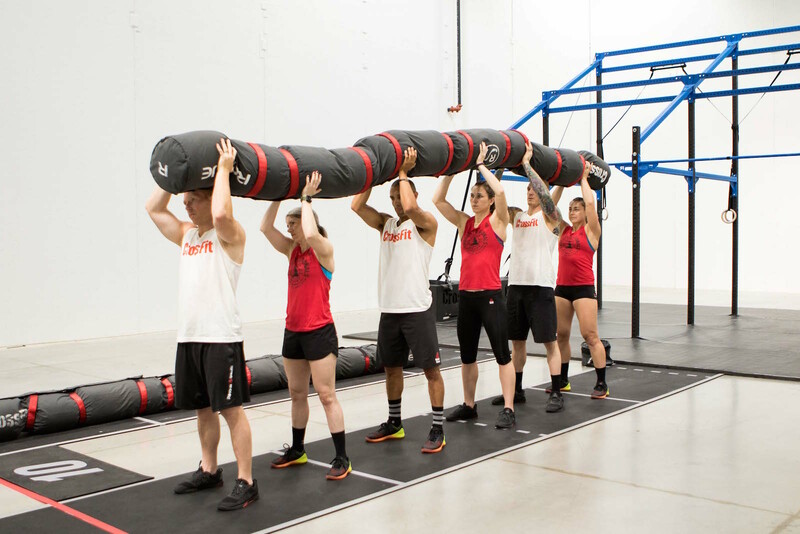 Each rep of the Worm push press starts with the athletes on the same side of the Worm, with the Worm resting on their shoulders. 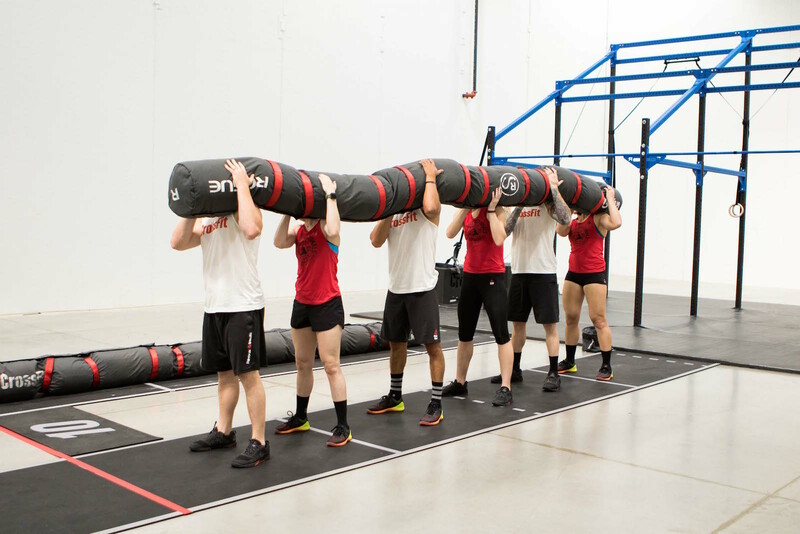 At the top, each athlete’s hips and knees must be fully extended as the Worm is lifted over the athletes’ heads and moved to their opposite shoulders. The arms do not need to reach full extension as the Worm is moved overhead. The Worm must rest on each athlete’s shoulder before the athletes begin the next rep. When advancing forward, all athletes must be on the same side of the Worm. Athletes may be in any order, but each section of the Worm does not weigh the same. From front to back, the sections weigh 80-65-75-60-70-55 lb., with 6-lb. bags between each section, for a total worm weight of 435 lb. In the rope climb, the athlete ascends the rope to touch the crossbeam at the top. Jumping up to begin each ascent is permitted. 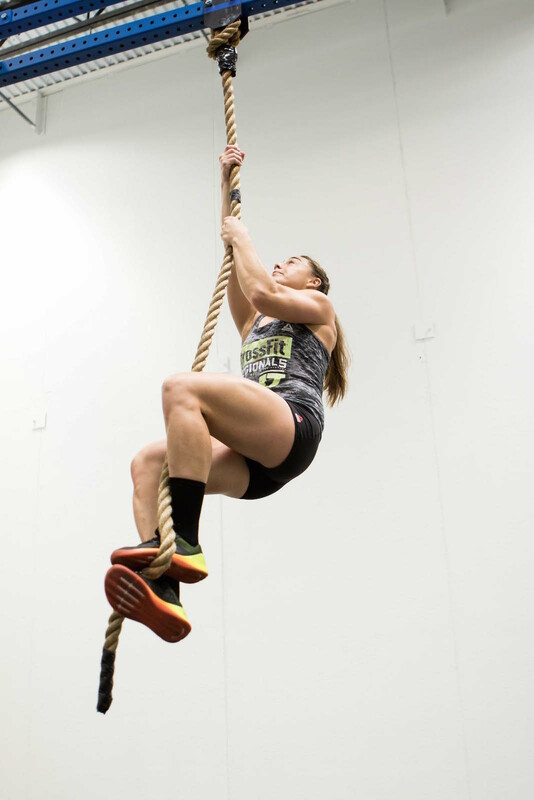 On the descent, the athlete must show control and may not drop from the rope until their hands touch below the designated 11-foot mark. Only one athlete may be on the padded mat at a time. Once an athlete completes their climb, they will advance through the rig to the designated waiting area, and the next athlete may begin their rep. Teams may climb in any order on any round.